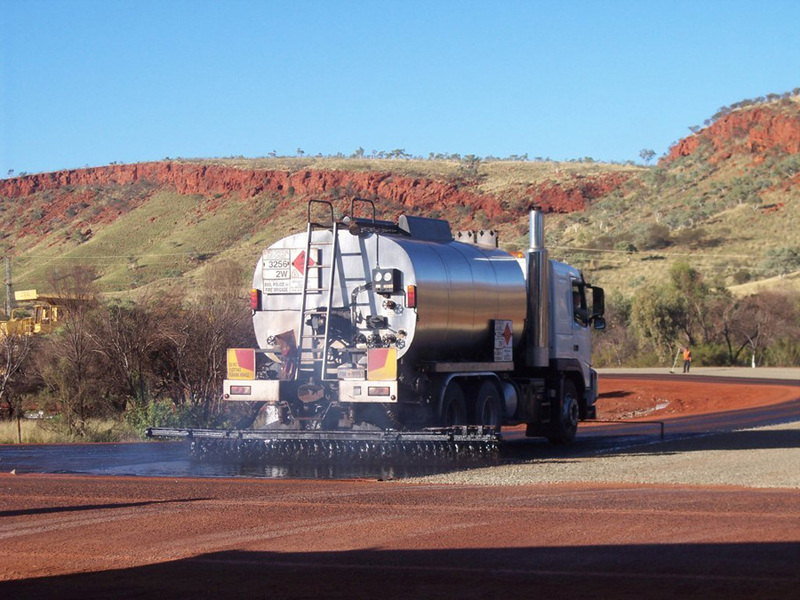 Bitumen spray seal is the economical and quick way to surface a road, carpark or hardstand area when compared to asphalt, concrete, or other forms of hand laid paving. A sprayed seal is a thin layer of bituminous binder sprayed onto a road surface and then covered with a layer of aggregate. 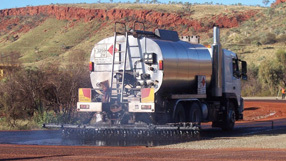 The aggregate is then embedded into the bitumen by rolling with a multi wheeled roller to form a durable waterproof, dust free and skid resistant surface. After rolling, the surplus loose aggregates are swept from the pavement and the surface is ready for traffic immediately thereafter. The life of a sprayed seal will depend on various environmental and usage factors, but the useful life is typically between 7 to 15 years. 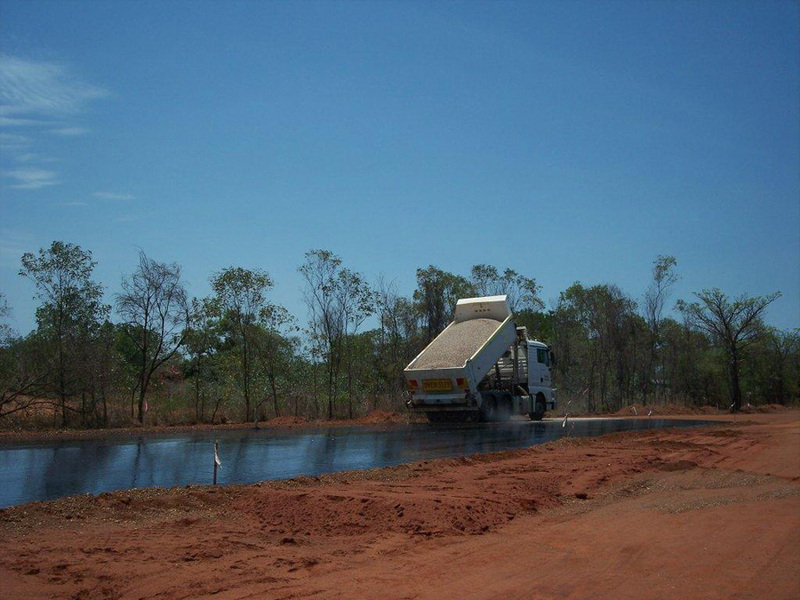 Spray seals are designed to meet the forecast traffic conditions for the road, with the number of coats of bitumen and aggregate increasing as the expected traffic volume increases. Spray seal is also suitable for rejuvenating and extending the life of existing pavements. Bitumen Sealing Services uses specially developed polymers, additives and primers to achieve greater adhesion and wearing performance between the aggregate, binders and substrate. Our fleet of modern, purpose built equipment and our skilled operators ensure a quality job.